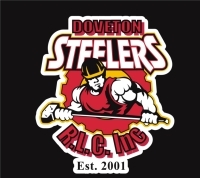 DOVETON STEELERS RUGBY LEAGUE CLUB INC.
Doveton Steelers Rugby League Club is a not for profit Incorporated sporting club based in the south eastern suburbs of Melbourne. Doveton Steelers was established in 2001 founded by a well-respected player and family man within the Victoria Rugby League community, Mark Lepou aka Sole, his dream was to create a family-orientated club that provided everyone from all walks of life an opportunity to participate and grow in the greatest game all. Our club has a long and proud history of success both on and off-field. Over a period of 15 years, Dovetons growth started off slow and steady, creating that strong family base foundation as a solid senior club starting off with a 1st Grade and Reserves Mens team, followed by the 'Steelettes' our Womens Tag Team introduced in 2008.